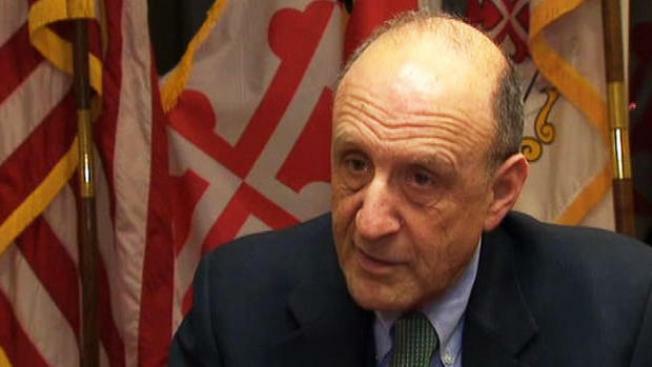 Former Anne Arundel County Executive John Leopold is out of jail. Leopold served a 30-day sentence for misconduct in office. The Capital of Annapolis http://tinyurl.com/btaoulz reported that Leopold left the Jennifer Road Detention Center Friday morning. Leopold still must serve 30 days of home detention, perform 400 hours of community service and pay a $75,000 fine. A judge convicted him in January of forcing members of his security detail to perform campaign work and having another county employee empty his urinary catheter bag. The 70-year-old Republican resigned from office three days after he was convicted. Leopold did not speak to reporters as he left the jail. While in jail, officials said Leopold asked for his preferred breakfast food and items including an electric shaver. Those requests were denied.